The Town-type truss of the bridge. While the bridge's roadway was recently rebuilt, some original wooden pegs can still be seen. The Guthrie Bridge, that crosses Groat Creek, was built in 1888. 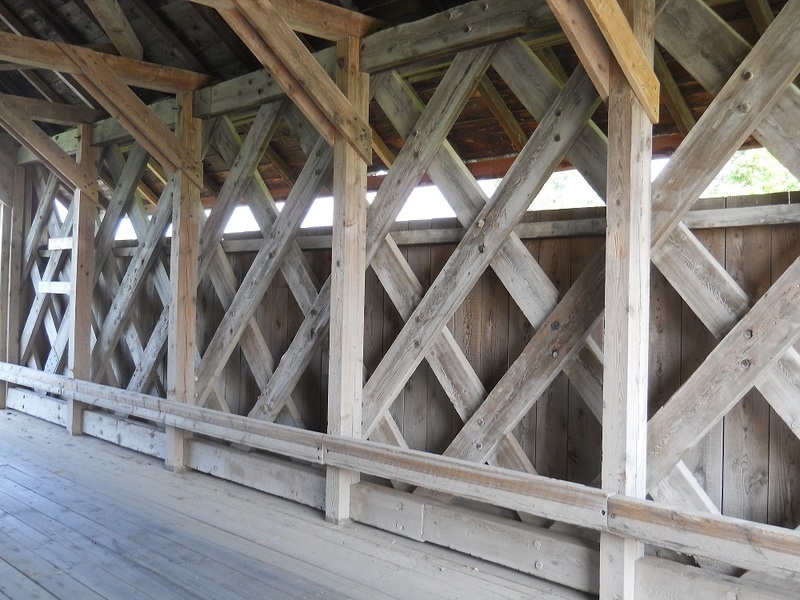 Measuring 15, 2 meters long it is the shortest covered bridge in Quebec. 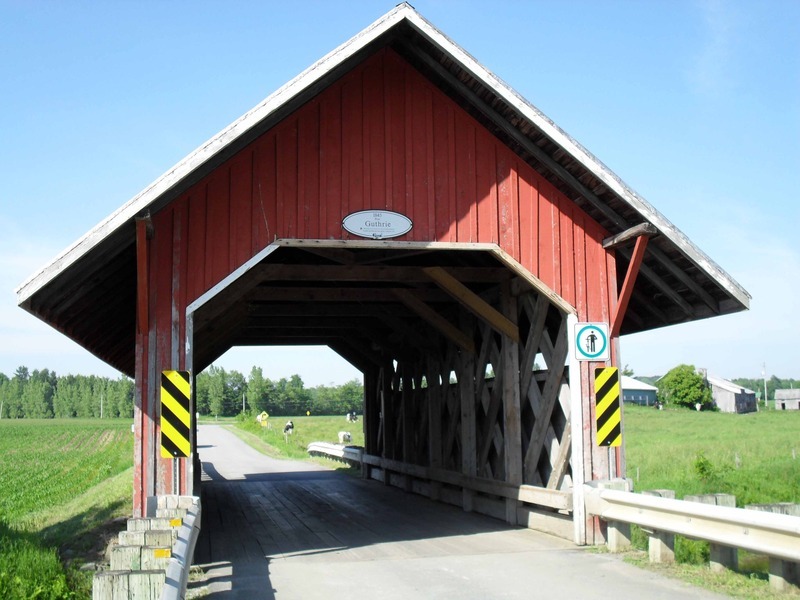 This bridge is one of the Province’s oldest covered bridges, since the first one dates back to 1861. Its structural design is borrowed from the so-called Town model, originally created by Connecticut architect Ithiel Town, who patented it in 1820. 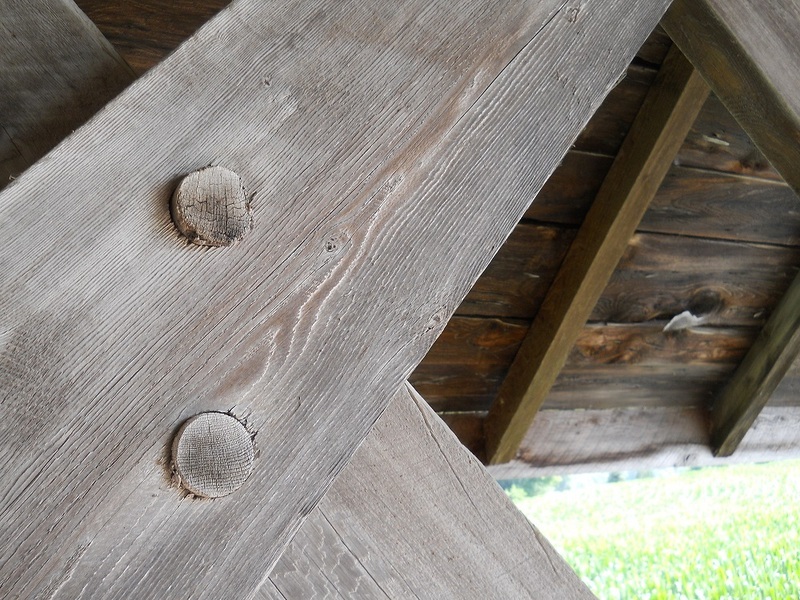 Roofs on covered bridges basically serve to lengthen the life of wooden structures. So covered, a bridge can extend its life span for more than a century while a simple wooden bridge would only last twenty years or so.